"Europa's ocean is considered to be one of the most promising places that could potentially harbor life in the solar system," said Geoff Yoder, acting associate administrator for NASA's Science Mission Directorate in Washington. 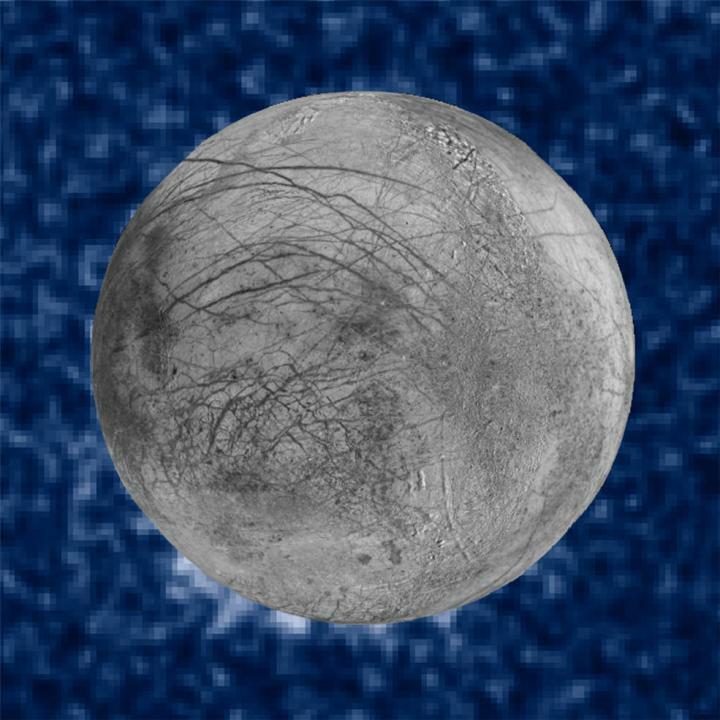 "These plumes, if they do indeed exist, may provide another way to sample Europa's subsurface." The original goal of the team's observing proposal was to determine whether Europa has a thin, extended atmosphere, or exosphere. Using the same observing method that detects atmospheres around planets orbiting other stars, the team realized if there was water vapor venting from Europa's surface, this observation would be an excellent way to see it. "Hubble's unique capabilities enabled it to capture these plumes, once again demonstrating Hubble's ability to make observations it was never designed to make," said Paul Hertz, director of the Astrophysics Division at NASA Headquarters in Washington. "This observation opens up a world of possibilities, and we look forward to future missions — such as the James Webb Space Telescope — to follow up on this exciting discovery."